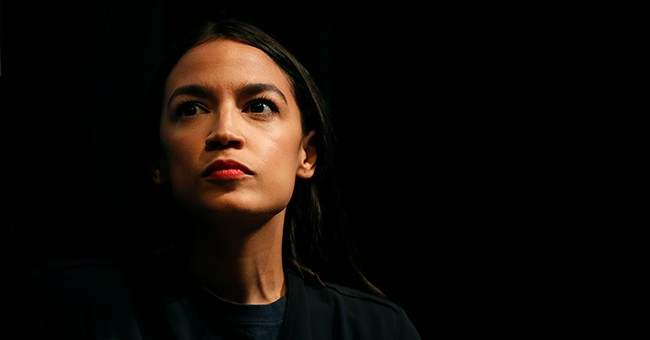 What Democrats like those quoted here still do not understand, apparently, is that Ocasio-Cortez's failure to morph into a country club politician is the whole point: It is the reason people like her, and see her as perhaps capable of advancing policy proposals on which Democrats, despite their alleged best efforts, have not yet been willing or able to deliver. If she were another backslap-happy centrist who prioritized the accumulation of seniority above the promotion of an ambitious progressive agenda, she'd be Joe Crowley. Voters in her district were tired of Joe Crowley, whose each term was the same as the last, which is why they didn't elect him again. Speaking of which: Sniping at Ocasio-Cortez like this is a habit that Democrats develop at their own peril. The party is two months removed from winning the House in a landslide thanks to the energy generated by young, envelope-pushing candidates like her, and already, some members are so nervous about what it might mean for their livelihoods that they'd rather squash that energy than see where it can take the country. Progressive groups are set to back primary challenges against conservative Democrats in 2020, as they look to expand their wing’s footprint in Congress by taking out incumbents they see as out of tune with the current state of the party. Justice Democrats, a progressive group that helped propel Rep. Alexandria Ocasio-Cortez (D-N.Y.) in her primary upset last year, has its eyes set on a number of more moderate House lawmakers in safe blue districts, with Rep. Henry Cuellar (D-Texas) as the first target. Plus, some national groups appear to be gearing up again to take on Rep. Daniel Lipinski (D-Ill.), who narrowly won a competitive primary in 2018 against a candidate backed by progressive and abortion rights groups. The primary challenges come as progressive Democrats push for more influence in the new House majority and as they look to shape the party’s politics in 2020, having been emboldened after Democratic voters rejected a few entrenched incumbents last year. So, in all, progressive groups already reloading to take out their own within the party, far left loons that could cause heartburns on the various committees in the House, and reports of rank-and-file Democrats already queasy with how this far left faction operates. This sounds like a toxic cocktail that could implode the House Democratic caucus—and I hope it does. The next two years could be dotted with the far left putting forth insane proposals, whilst the more experienced members are left to do damage control. It wastes time—the most precious resource in politics. And while a do-nothing House could work to Trump’s benefit in 2020, especially if he proposes initiatives that promote jobs and grow the economy that in turn get blocked, the president can capitalize on the internal drama. If things turn out poorly between the far left and more establishment wings, the president has plenty of fodder for the stump. Trump can go out there, saying he wanted to create jobs, but the House Democrats’ constant fighting, like something out of a bad daytime soap opera, prevented people from getting bigger paychecks and future employment. On top of that, they’re more about impeaching me than helping all of you. Sad! Is it a period of civil war among the Democrats? The elements for one are right there.